Scientists have found skeletons of a hobbit-like species of human that grew no larger than a three-year-old modern child (See pictures). The tiny humans, who had skulls about the size of grapefruits, lived with pygmy elephants and Komodo dragons on a remote island in Indonesia 18,000 years ago. Scientists have determined that the first skeleton they found belongs to a species of human completely new to science. 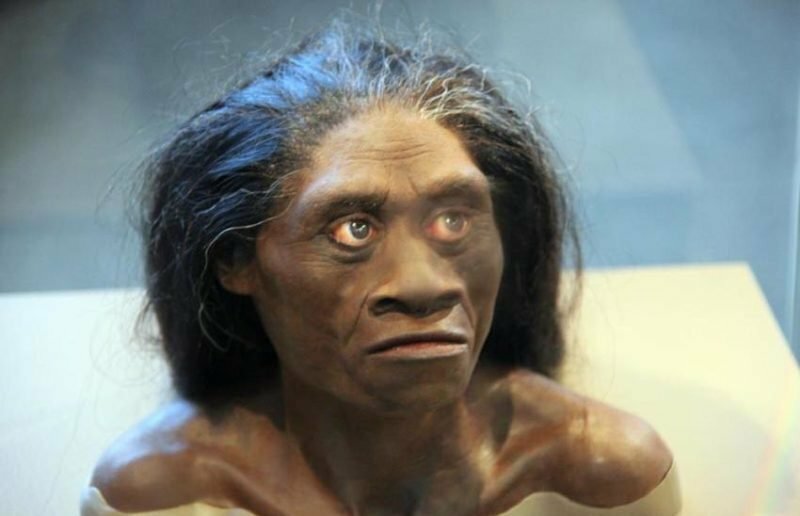 Named Homo floresiensis, after the island on which it was found, the tiny human has also been dubbed by dig workers as the “hobbit,” after the tiny creatures from the Lord of the Ringsbooks. The original skeleton, a female, stood at just 1 meter (3.3 feet) tall, weighed about 25 kilograms (55 pounds), and was around 30 years old at the time of her death 18,000 years ago. The skeleton was found in the same sediment deposits on Flores that have also been found to contain stone tools and the bones of dwarf elephants, giant rodents, and Komodo dragons, lizards that can grow to 10 feet (3 meters) and that still live today. Scientists have found skeletons of a hobbit Homo floresienses has been described as one of the most spectacular discoveries in paleoanthropology in half a century—and the most extreme human ever discovered. The species inhabited Flores as recently as 13,000 years ago, which means it would have lived at the same time as modern humans, scientists say. Scientists have found skeletons of a hobbithe researchers estimate that the tiny people lived on Flores from about 95,000 years ago until at least 13,000 years ago. The scientists base their theory on charred bones and stone tools found on the island. The blades, perforators, points, and other cutting and chopping utensils were apparently used to hunt big game. In an accompanying Nature commentary, Marta Mirazón Lahr and Robert Foley, both with the Leverhulme Centre for Human Evolutionary Studies at the University of Cambridge, England, describe Homo floresiensis as changing our understanding of late human evolutionary geography, biology, and culture.